The long awaited appeal hearing was scheduled for Monday morning the 19th. On Sunday afternoon, the 18th, I received a call from a US embassy employee. He and another embassy man were on the way to Oryol to observe the Monday hearing. They wanted to know if I would have time to meet with them on Sunday evening to discuss the case. I met them at the train station when they arrived, and we went to their hotel so they could check in for the night. Then we went to a restaurant of my recommendation and had a nice supper together. We talked for a few hours about our life and ministry here in Oryol. We discussed the new law, and I explained to them why my activities are not prohibited by the law as it is written. They told me that the State Department is very interested in my case, because it will have a great influence on the future of religious freedom in Russia. Monday morning, I was up early to prepare for the day. After my quiet time with the Lord, and breakfast, I needed to go out early to find a notary to prepare a document that my lawyer requested. I was at the notary's office when they opened at 9 am, so I was able to be the first customer of the day, and had my document ready with plenty of time to spare before my court hearing at 11 am. I arrived at the courthouse at 10:30. My two attorneys from Moscow were there to meet me. We went up to courtroom number 6 on the third floor. The two men from the embassy arrived a few minutes later. Six of the people from our Bible study group came to observe the hearing. The lawyers had invited some of their friends from other "evangelical" churches here in Oryol, so there were about 15 other local Christians who came to watch. Three journalists came to report on the proceedings. One of them had a television camera. Another had one of those long microphones that you see on TV. The judge came into the courtroom at about 11:05. "All rise!" She introduced the case as an appeal of the charges against Ossewaarde, Donald Jay, who was convicted of illegal missionary activity. She asked me to stand and identify myself. She asked if I had legal counsel, and I introduced the lawyers who were sitting next to me at the defendant's desk. They were asked to come forward and present their credentials, which were accepted by the court. The journalist stood and addressed the judge, asking permission to make audio and video recordings of the proceedings. The judge granted permission, but cautioned them not to interfere with the hearing. The judge addressed the visitors in the courtroom. "Of course, you all have a right to be here and observe this public hearing, but I caution all of you to remain quiet and respectful. If you express your emotions or make any protests that interrupt the hearing, we have methods to keep you under control, or to remove you from the courtroom. There may also be penalties for disruptive behavior." Of course, everyone in the courtroom was respectful and quiet. Then the judge proceeded to read the entire appeal document, which had been prepared by my attorney. It is a ten page document that clearly explains the law, and gives "chapter and verse" from various statutes, and from the Russian constitution, to show that my activities did not violate any law. It clearly explained that, even as a foreigner, I have the constitutional right to exercise my faith, and to share it with others. My attorney told me that when you write such a document for a judge to read, it should be on the elementary level of a freshman law student. Even though judges are supposed to have a deep knowledge of the law, they can be "led by the hand" through your legal argument if you keep it simple and provide all of the references in a format that is easy to follow. The judge seemed to be nervous. I do not think she expected so many people to be there for the hearing. The attention of the media was also a pressure upon her. She read through the appeal document at an extremely fast pace. If I had not had my own copy in my hand to follow along, I would not have understood anything she said. The Russian spectators told me afterwards that they did not understand anything she said when she was reading. I was asked to take the witness stand, which in this courtroom is a small pulpit directly in front of the bench, facing the judge. I was asked a few questions about my activities. I clearly stated that I was not a representative of any registered religious organization, but was exercising my constitutional rights to talk to people about my faith in public and in my private home. I was afraid that I would be nervous and have a hard time remembering what to say. God gave me a calm heart and a cool head, and I was able to answer with clarity and confidence. I thank all of you who have been praying for me, because I could easily have become flustered without God's help. His hand was upon me. My lawyer then took the stand to repeat some of the basic points of the law and my constitutional rights. He made it clear that I had not violated the law in any way, and he asked the court to render a decision according to the letter of the law as it is written. He expressed a thankful confidence that the court would do exactly that. Then the policeman took the stand. This is the same man who came to my home twice to ask questions about our ministry. He had written police reports about us. He wrote the charges against me on August 14th. He was all by himself in the courtroom. He had no lawyer, no partner, no spectators to support him. He looked very glum. I thought it was unusual that he was not even wearing his uniform, but was very casually dressed. The judge addressed him as "Captain", but I am not really sure how high a rank that is in the local police force. The judge asked him if he was still convinced that I had broken the law. He said yes. She asked him to explain, so he gave a brief rambling statement, saying that I was having religious meetings in my home, and distributed literature all over town inviting people to come, so obviously I was a missionary, and that is against the law. I would say his presentation was unprofessional and unconvincing, but of course I am biased a little bit. 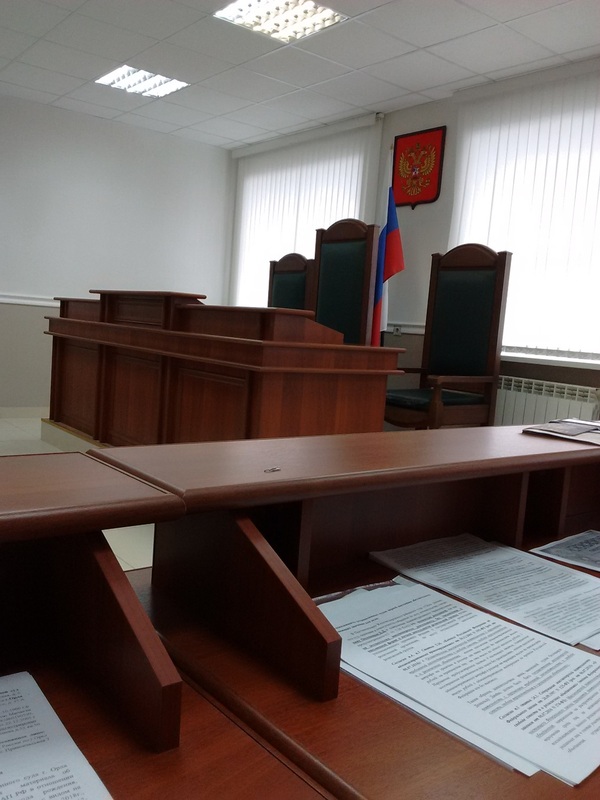 The judge than said, "On August 14th, three of the Russians who attended the meeting in Ossewaarde's home were questioned by the police, and their responses were written in these police reports. I think we have not given these people a chance to say their word in this case, so I propose that this hearing be postponed until September 30th. Will the attorneys be able to return on that date?" My attorney quickly thumbed through his pocket calendar book, and said he could return on that date. Then the judge abruptly adjourned the court at about 12:00. My lawyer explained that there was no possible reason to have the three witnesses come to the court. He was convinced that the judge was spooked by all the attention my case was receiving, and needed to stall for time so she could consult with higher authorities. He said that according to the law, judges are completely independent to make their own decisions, but in reality, they don't want to risk their jobs by making a decision that would be unpopular with higher powers. He thinks that our case is a very strong one, and if a just and impartial decision is made, the charges will be dropped. After the hearing was over, the TV journalist taped a brief video interview with me. In front of the courthouse, as we were leaving, some of us posed for this picture. The black man next to me is from the US embassy. The bald man with the beard on the other side of me is my attorney, and the man next to him is also my attorney. The four ladies on the far right have all been coming to our Bible study for many years. The rest of the people are Christians from other churches in the area. So, now we will wait until September 30th while the judge stalls for time. Thank you for praying. My attorney tells me that this case is a very important one that will help to determine the future of religious freedom for Russian citizens and for foreign missionaries. Pray that I will be wise and safe. I am sure that I am making some people mad by appealing these charges. I am confident that the Lord will protect me, and that He brought me here "for such a time as this". My story and interview were featured on the evening news. You can watch it here. Jump forward to 9:30 on the time line.